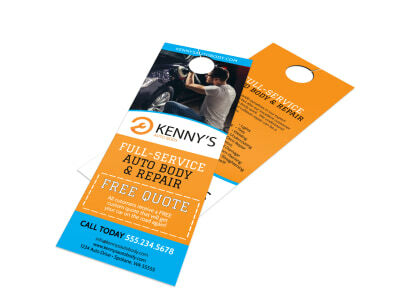 Customize our Auto Repair Door Hanger Template and more! 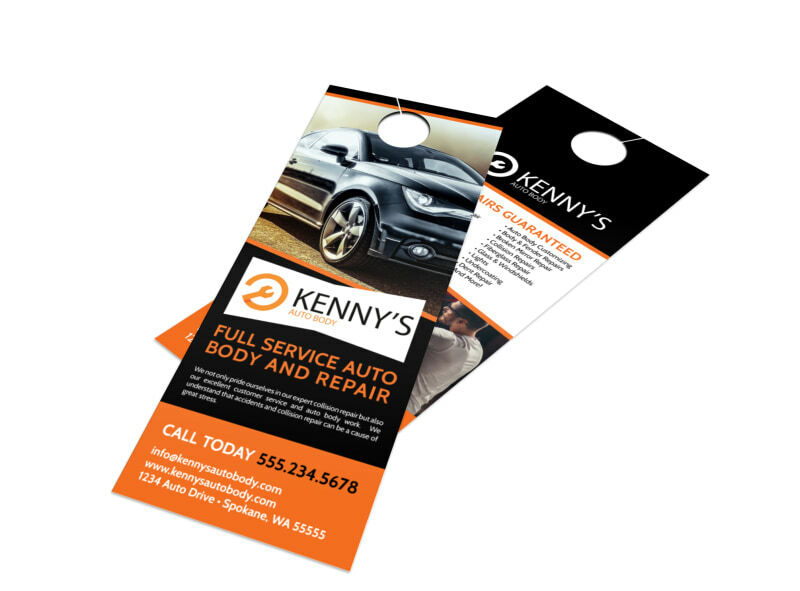 When cars need a little TLC, this door hanger is just what you need to help spread the word about your business. Add your company logo, contact details, and a brief description of the auto repairs you perform in your shop. 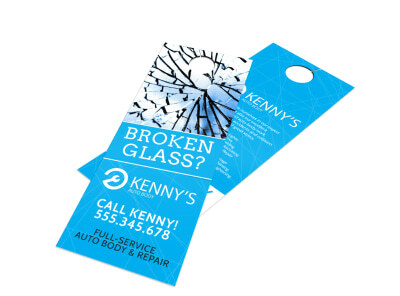 Distribute you door hanger around your community so the public knows where to go when their car breaks down.